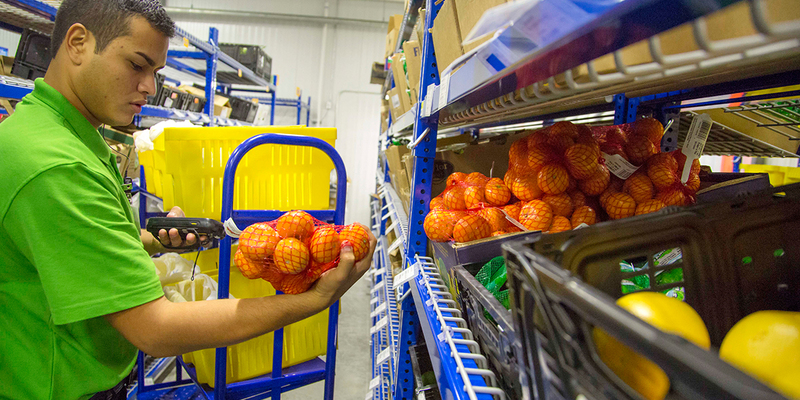 Walmart started its grocery delivery service via refrigerated trucks in San Jose. Customers place orders on Walmart’s grocery site, book a delivery appointment and receive their orders at home. A routing engine creates optimized routes based on the incoming orders. Once the orders are picked and packed in the store, they are loaded in the trucks and delivered in the sequence determined by the routing engine to meet the customer’s promised appointment. Home Delivery of groceries is generally more complex than shipping books, electronics, toys, apparel and other items. The primary reason being food is perishable. Melted ice-creams, bruised fruits and cracked eggs not only have a negative impact on margins but also reflect poorly on the customer experience. Additionally, the last mile contributes to nearly a third of the overall supply chain costs. Cold Chain Compliance: Most frozen or chilled items cannot be kept out of the cold chain for periods of time adding complexity and cost. Attended Delivery: Due to their perishable nature, groceries can only be delivered when someone is available at home to receive the orders increasing time spent at the customer doorstep and reducing deliveries per hour increasing cost. On-Time delivery: A truck typically delivers several orders in a trip. Since each order has a customer appointment, a delay in one order has cascading effect on the rest of the deliveries. This often results in low on-time delivery and poor customer experience. 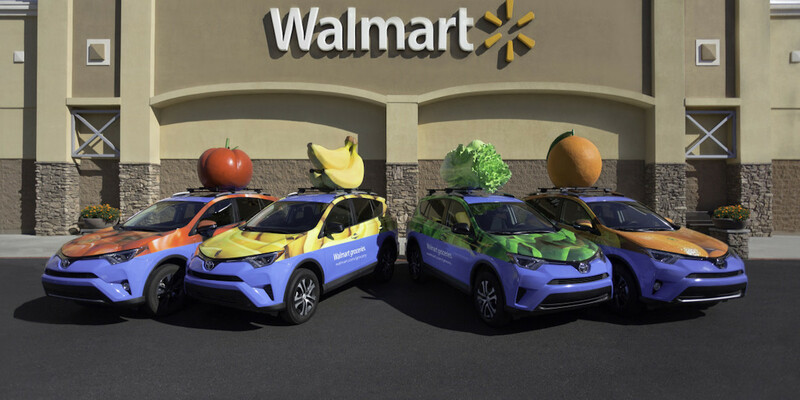 Given these challenges Walmart decided to pilot crowdsourced delivery in one of its markets. The Supply Chain team built a last mile delivery platform to enable easy integration with crowdsourced delivery partners. In the meantime, the crowdsourced delivery partner is updated with customer specified instructions, such as the customer’s apartment gate code or other parking/delivery instructions. The store associates are also provided visibility of not only the picking process but also the delivery progress (alerted using app, sms when orders are stuck at different stages for more time than required). The delivery platform reacts in different ways to the delivery requirements based on whether the order is an express order that requires a vehicle immediately or a scheduled order that requires a vehicle at a predetermined time. It supports order promising in real time on the website where it works together with the picking order promise platform estimating the time of order fulfilment. Post loading of the order, the platform triggers an email to the customer informing them of the delivery status and provides all relevant vehicle and driver details to identify the 3PL partner vehicle along with a real-time vehicle tracking link. The delivery platform is also capable of tracking return orders back to the store informing stores about the order, vehicle and differentiates between a driver coming to pick up an order vs a driver coming to return an order.